I decided that I’d take a walk over to some music store. It was just a building or two over. It was raining, so I did a quick jog to the store, and went inside. It was a big music store. I noticed what appeared to be some snare drums in a room just off the main room, so I walked over to investigate. Outside the main drum room was some used stuff against the wall. 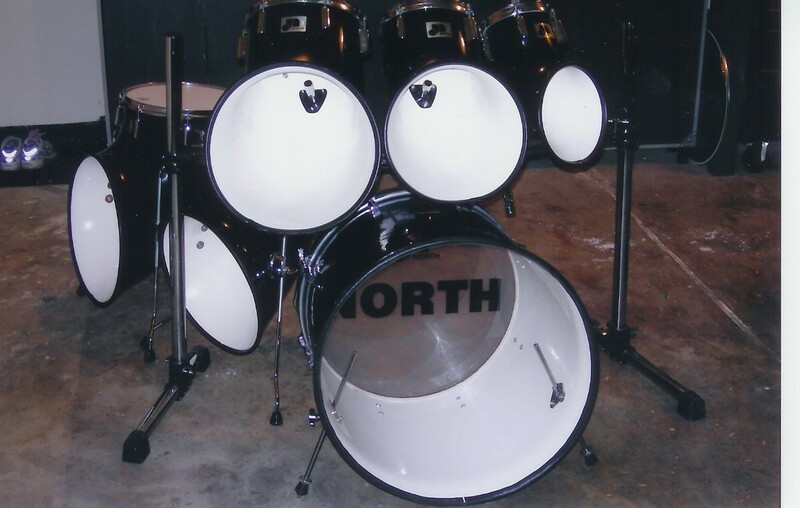 There was a Tama Granstar bass drum in Cherry Rose with a tag that said “Make Offer.” I thought “Man, it’s hard to move a single bass drum, let alone one that’s pink.” I also saw an old North kit. Asking price? $1200. Not an unfair price, but too rich for my blood. I entered the drum room, and looked around. Nice stuff, but nothing stood out at me, and there were no good deals. I exited the room, and was just about to leave when I saw a salesman approaching. “I’d give you $800,” I said, feeling like he’d never jump at that price.